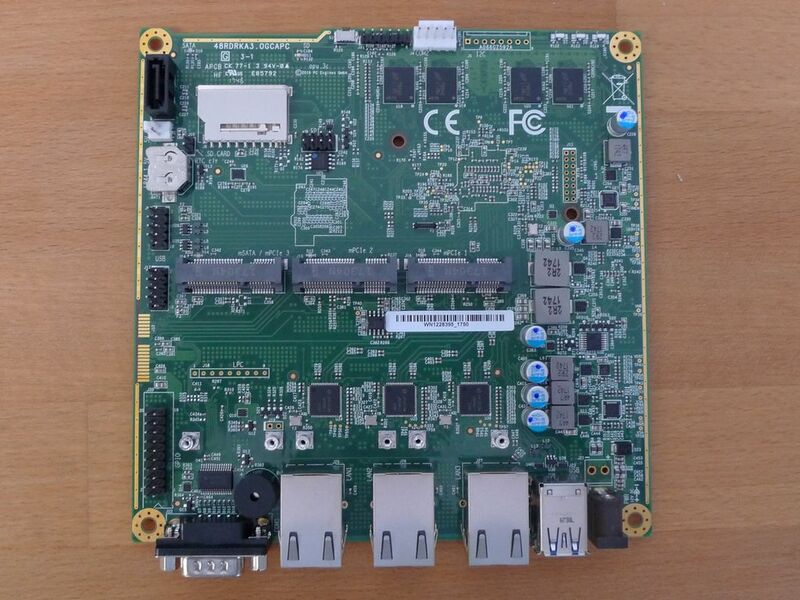 Application This board version is targeted at applications that require 2 3G / LTE modems. SIM sockets can be swapped under GPIO control, enabling failover between two different networks even when only one modem is used. Another feature is the build option for a regular PCI express slot on the side. 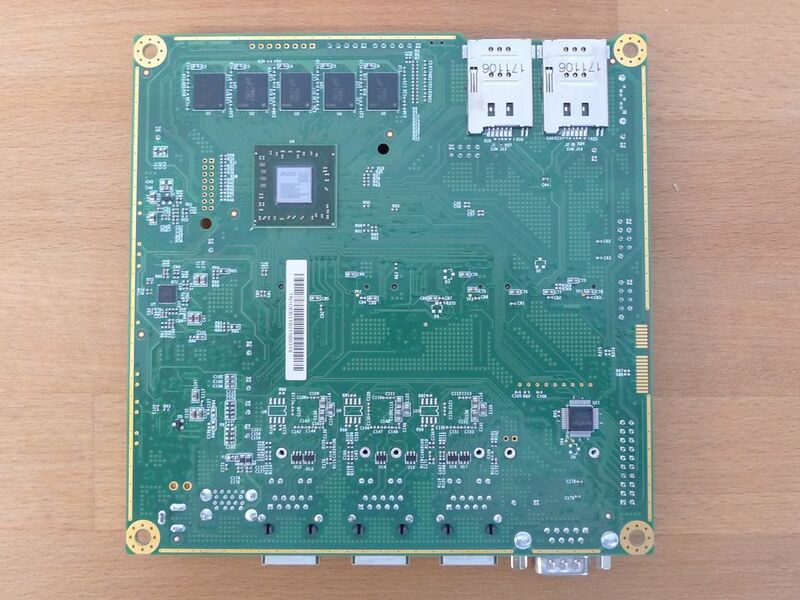 OEM options PCI express slot on the side, different number of LAN ports, etc. Improve compatibility with LTE modem modules: Disconnect SMB_DAT / SMB_CLK signals (1.8V level on Quectel). Improve compatibility with LTE modem modules: No stuff diodes D4 / D17, option resistor bypass (extremely low VIL on Huawei modems, sensitive to incoming EMI). Optional SIM presence indicator / SIM card detect. Disable non-functional NCT5104D watchdog timer. Increase 3.3V current limit to allow for two simultaneous LTE modems. Version apu3b: Fixed USB header J13 pinout. Version apu3a: The pinout on USB header J13 is wrong, do not use. BIOS update Please see Howto collection for instructions on BIOS upgrade. Update 3/2017: various fixes, enable additional USB ports, iPXE with setup, set SIM switch GPIO to high.